Tree Agate Considered to be a talisman in some parts of India, Tree Agate is a stone of inner peace. Gentle Tree Agate calms nerves, and can be combined with Clear Quartz to deepen meditation and prayer. Tree Agate brings our focus to the oneness of us all, dissolving egoism and arrogance. Use Tree Agate to ease relationship problems with children. 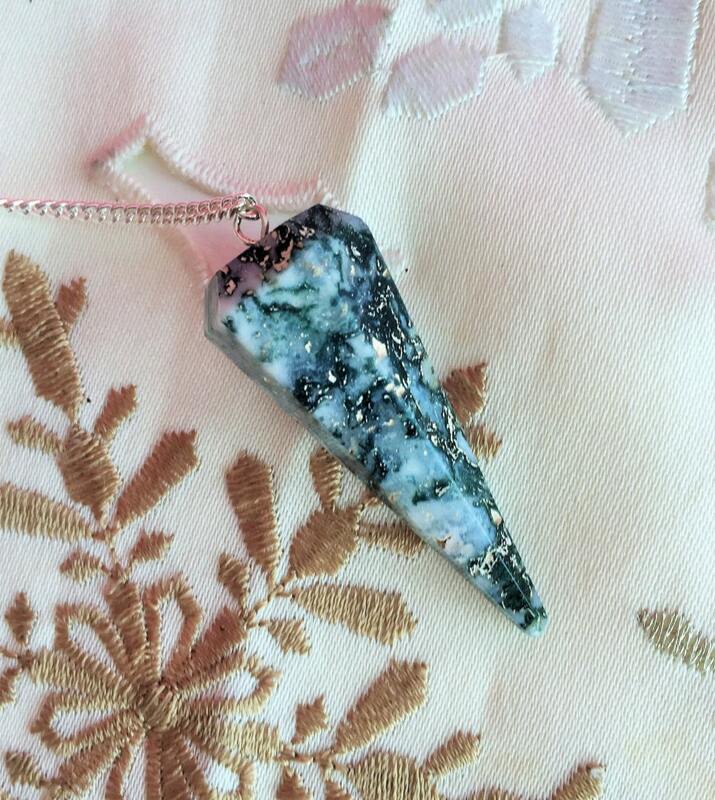 Size:The pendulums measure about 7" long with the gemstone itself measuring approximately 2" inches long. 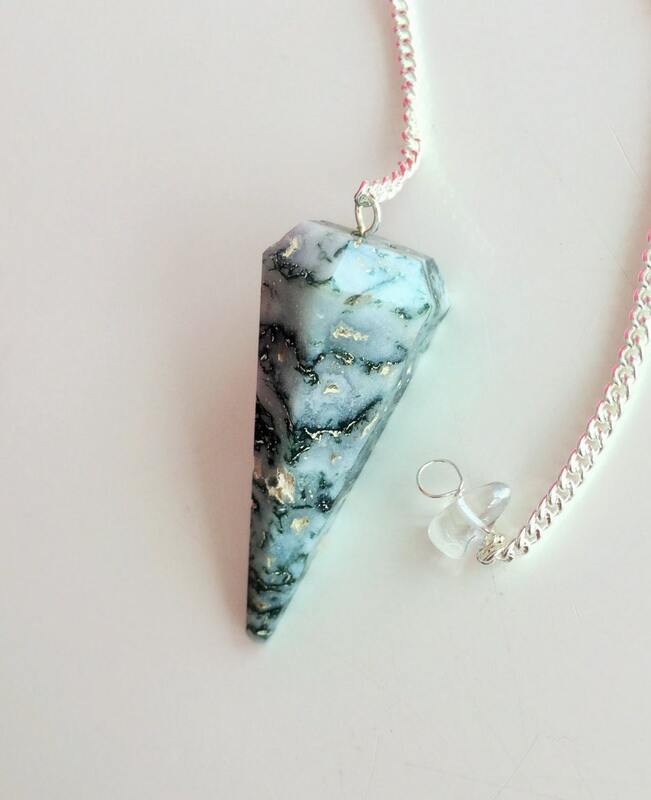 ♥ Pendulums have been smudged with sage & charged with Reiki. Would you like to view our collection of Pendulums?